It has taken me a year or more to publish this image, which I stumbled across in the National Library of Australia archives. I had often been sorely tempted to use it, given it's a rare shot of someone operating a Traeger Morse typewriter in an underground chamber carved from rock on the opal fields of Coober Pedy in South Australia. (To find out more about the Traeger typewriter, see my blog post here.) What stopped me was a determination to first positively identify the operator. The Traeger typewriter I uncovered in Museum Victoria's ScienceWorks at Port Melbourne some years ago. 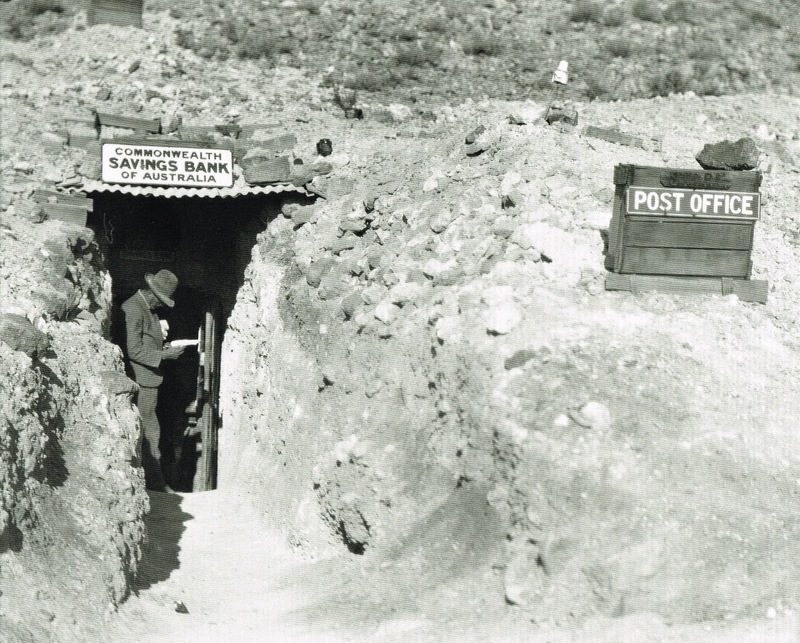 Two things I knew for sure: a) the photograph was taken at the Australian Inland Mission Wireless Transmission Installation, which was put into the Post Office at Coober Pedy in about August 1935; and b) the operator was almost certainly not an Australian. I surmised that he was either an African American or a West Indian who had perhaps come here from Britain. Either way, I assumed it would be easy to find the name of a non-white, non-Australian working on the opal fields. How wrong I was! E.O.Hoppé's famous image of the Coober Pedy post office, taken in the early 1930s. I am now wondering whether that is my mystery man standing in the doorway! My earliest attempts to track down this gentleman were entirely fruitless, and for the time being I gave up the search. But eventually things started to fit into place. Some weeks ago I was contacted by an Adelaide researcher, Stuart Wattison, who was coming to Canberra for a stamp collectors' convention. He wanted to talk to me about Minnie Berrington, a blue blood English typist who became an opal gouger in South Australia in the late 1920s and about whom I had posted almost two years ago. One of the things Stuart was able to tell me was that in her later life, living in Adelaide, Minnie had returned to her first profession as a typist. While he was here, I gave Stuart a copy of the image of the Traeger typewriter in use, hoping he might be able to offer some clue as to who was using it. On his return home, Stuart got in touch with Coober Pedy historian Sue Britt, who immediately identified our man as one Alfred Simmond, known on the opal fields as "Black Alf". Finally having a name should have meant everything. But the only reference I could find to Alf Simmond in the National Library's newspaper archives, Trove, was a very sketchy report of his death, in mid-December 1935. It seemed to confirm my earlier thought that Alf was a West Indian, "and had been in Australia for many years. He worked on all opal fields in Australia, and made several trips to America, selling opal and precious stones, on which he was an expert." Among other places where he'd mined was the old gold rush town of Arltunga in the East MacDonnell Ranges of the Northern Territory. 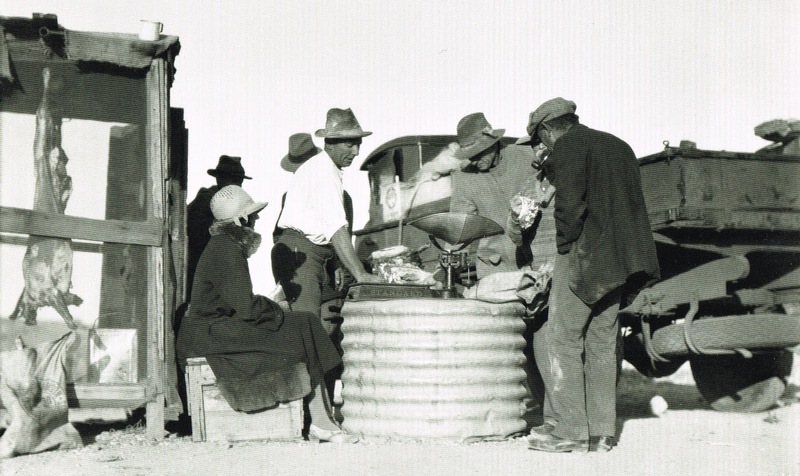 Another of Hoppé's photographs shows Minnie Berrington, seated left, watching opal gougers weigh their finds at Coober Pedy. As with the post office image, I am now thinking the man bending, right, is Alf Simmond. At the time of his death, Alf was in Tennant Creek, north of Coober Pedy, where he had been lured by the gold rush. He died of beriberi, a thiamine deficiency resulting from a lack of vitamin B1. Risk factors include a diet of mostly white rice, alcoholism and chronic diarrhoea. Because Alf was "coloured" but not an Aboriginal, he could not be admitted for treatment to the Australian Inland Mission Hostel. It fell to Dr Patrick John Reilly, the Government Medical Officer at Alice Springs and Deputy Chief Protector of Aboriginals, and his wife, Betty Irene (née Loft), a former Adelaide Hospital nurse, to care for Alf in their own home, more than 300 miles from Tennant Creek, but he was too far gone to be saved. 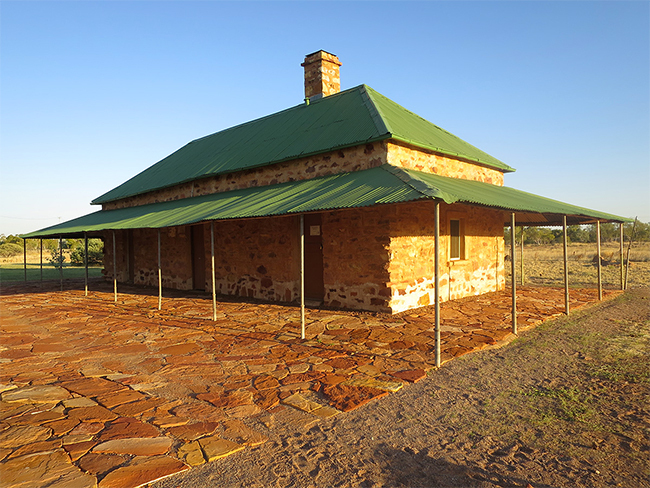 Tennant Creek in the Northern Territory is where in 1872 the Overland Telegraph Station (below) linked Melbourne to London. 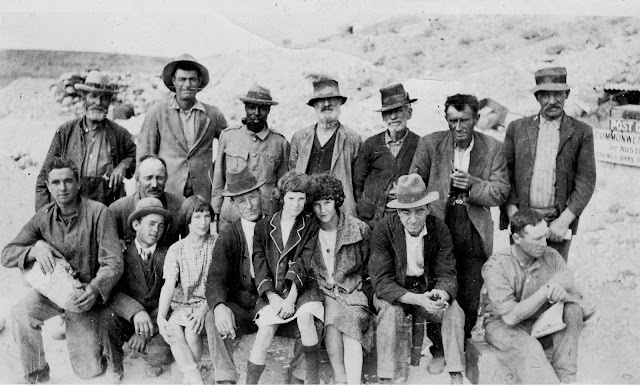 Tennant Creek was the site of Australia’s last gold rush, starting in December 1932 and petering out within a decade. But I continued to search for information about Alf until today, when I came across an item written by Adelaide journalist Maurice Stephen Fisher (1887–1968) under the pseudonym of "Vox" in his "Out Among the People" column in the Adelaide Chronicle in August 1935. The item, about newcomers to the Tennant Creek gold fields, confirmed the majority opinion that Alf was an African American, and not the Alfred Simmonds born at Christiansted on St Croix in the American Virgin Islands in 1870. That Alf died in Kings, New York, in October 1934, 14 months before our Alf died in Australia. Our Alf was born in Detroit, Michigan, on January 9, 1876, so was just short of his 60th birthday when he passed away. 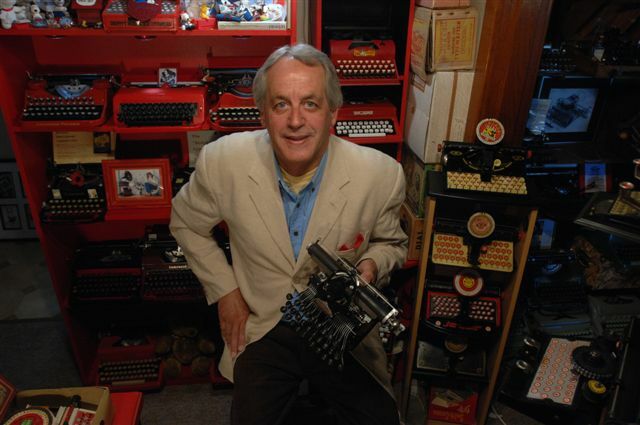 Being a radio amateur, former broadcaster, and presently hoarding typewriters; I want one of those. I really like this post Robert. 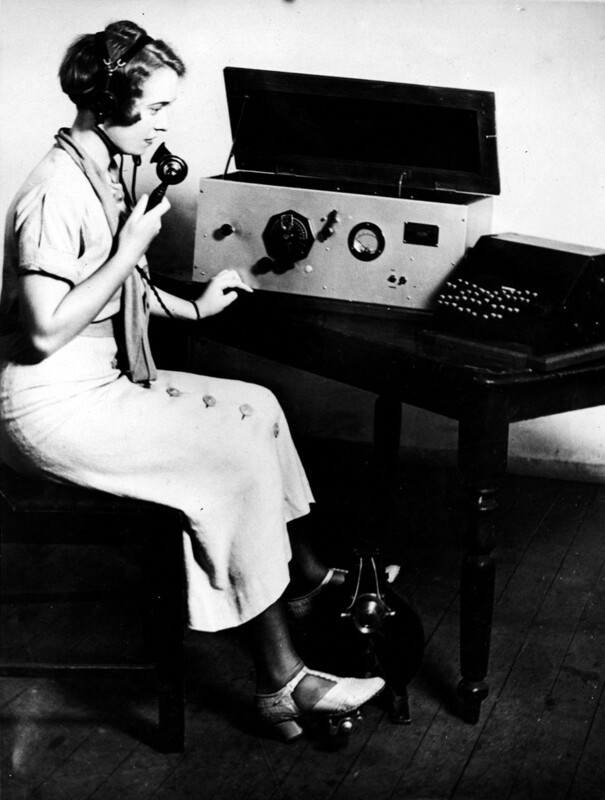 From way back in my younger days rumors had been told of a typewriter that could send Morse Code. The only thing any of us knew was the teletype, which does not send Morse Code, but Baudot or the Murray Code (if I remember), and on the ham bands FSK or AFSK. Your determination finally paid off. Thanks for this glimpse of "opal gouging," which is a foreign topic for me. The Yetman, of course, could also send Morse.